Ron Isroff - Mediator based in Beachwood, Ohio. If you’d like a list of available dates for Ron Isroff, please submit a request below. While a partner at Ulmer & Berne, Ron served as chair of the Employment & Labor Law Group and, prior to that, Chair of the Business Litigation Group. 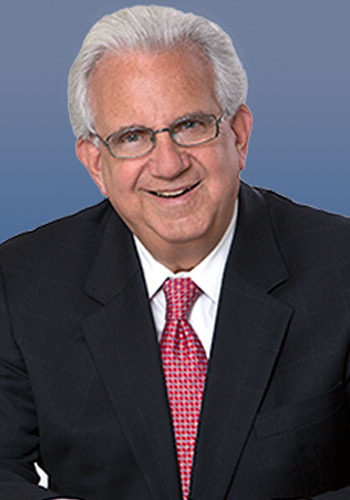 He played a critical role at the firm overseeing, consulting on and trying cases in the areas of employment litigation, complex business litigation, disputes involving trade secrets, unfair competition and non-competition agreements and intellectual property disputes including copyright and patent litigation. His strengths include offering effective guidance with a detailed understanding of the facts and law to help you and your clients evaluate the risks and benefits of pursuing litigation or pursuing the best possible settlement options. An AV rated lawyer, Ron was named a "Leading Lawyer" , and listed as an Ohio "Super Lawyer" and listed in "Best Lawyers in America". A Cleveland-based mediator and arbitrator serving clients throughout the Midwest, Ron was honored when named Best Lawyers in America 2016 “Lawyer of the Year” for Mediation in the Cleveland, Ohio area. Please call Isroff Mediation Services, LLC at 216-245-8711 for rates.